Jeff (also called The Jeffrey Dahmer Files) is an independent documentary film about serial killer Jeffrey Dahmer during the summer of his arrest. The film was directed by Chris James Thompson and stars Andrew Swant as Dahmer in fictionalized re-enactment segments which are interwoven with interviews of the medical examiner assigned to the case (Jeffrey Jentzen), the lead detective (Pat Kennedy), and Dahmer's next door neighbor (Pamela Bass). The film premiered at the 2012 SXSW film festival where it received positive reviews and obtained sales representation from Josh Braun at Submarine Entertainment. The film also played at the Hot Docs Canadian International Documentary Festival in Toronto, the Independent Film Festival of Boston, and the Maryland Film Festival in Baltimore. The documentary was picked up by IFC Films who re-titled it The Jeffrey Dahmer Files. Jonathan Sehring, President of Sundance Selects/IFC Films, said: "Chris James Thompson has made one of the creepiest documentaries of the year that lingers in the mind long after the film has ended. 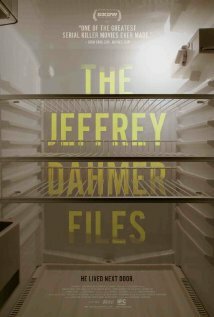 He's approached the well-known subject of Jeffrey Dahmer in a new and inventive way that managed to completely unnerve us." The film was released theatrically and on Video On Demand through IFC on February 15, 2013, with a television and DVD release to follow. Jeff was shot in Milwaukee, Wisconsin on Super 16 mm film over the course of three years. It was executive produced by Chris Smith (director of American Movie), Barry Poltermann, and Jack Turner.